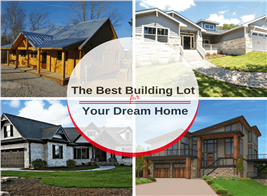 Your new home plan needs to incorporate the latest technology Trends. Reportedly 58 percent have a smartphone and 42 percent of own a tablet (Source: Pew Research Internet Project.) Wireless connectivity is now almost commonplace in a home, however, allowing you to stay connected to your home from anywhere, anytime is on the horizon. 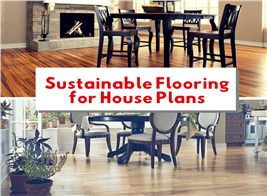 With this trend comes a certain amount of planning that needs to take place in your home plan when you build. with a single touchscreen. Digital and electronic subsystems enable the integration of every room's security, lighting, HVAC, audio, and video, to be integrated. This allows a homeowner to control them from 21 different user interfaces throughout the home, from guest access to starting a movie in the home theater, to warming up the hot tub. In fact, here is another blog piece we did which shows the Nest Smart Thermostat. Gartner recently released its Top 10 Strategic Technology Trends and some of the items on their top ten list will affect homes. The research firm talks about, “how the combination of data streams and digital services creates four basic usage models: manage, monetize, operate and extend.” The technology is made possibly in part thanks to Context-Rich Systems, or ubiquitous embedded intelligence. This along with pervasive analytics, produces systems alert to their surroundings, and the ability to respond appropriately. New smart homes will also include advanced robots, and smart advisors. 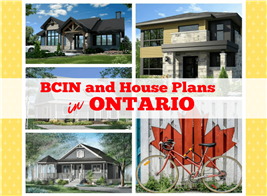 Here are just a few areas new home owners should think about. Smart home security. Traditionally home security systems have consisted of sensor alarms capable only of detecting break-ins and responding by way of loud sirens. The latest security systems feature video cameras and alerts that tell a homeowner when packages are delivered or when kids get home from school, remotely to a smartphone. What’s more, these systems alert a homeowner about fires, smoke, or even the presence of carbon monoxide. The future will hold more sophisticated risk assessment and mitigation tools for everything in a home to be more self-aware and self-protecting. Heating and cooling. Believe it or not, heating and/or cooling accounts for more than half of the energy used in the typical American home (Source: U.S. Department of Energy.) But the good news is that today there are programmable thermostats that can save homeowners as much as $180 per year in energy costs. Another area gaining popularity -- zoned heating and cooling systems –which enables heating or cooling specific areas of a home based on where people spend the most time. 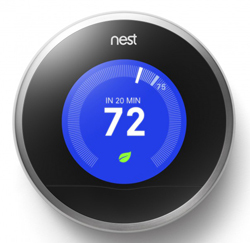 The very latest technology (Nest) enables smart thermostats to remotely allow temperature adjustments from smartphones and also include energy statistics to help control overall costs. For young people, the Oculus Rift, is a virtual reality headset designed to let video game players immerse themselves in 3-D digital worlds. 3D Printing Comes of Age. Global 3D printer shipments are expected to grow 98 percent in 2015, followed by a doubling of unit shipments in 2016, says Gartner, reducing reducing costs through improved designs.